My 365/33 images are from this day in 2009. Overnight, we had experienced an unusually heavy snowfall. The children were delighted to have their first ever snow day. I must confess, I was quite excited too. We enjoyed a long walk, between snowball fights, and I snapped these on the River Thames towpath between Weybridge and Shepperton. in editing, I have deliberately over-exposed the images, trading texture in the snow for a light, airy look. 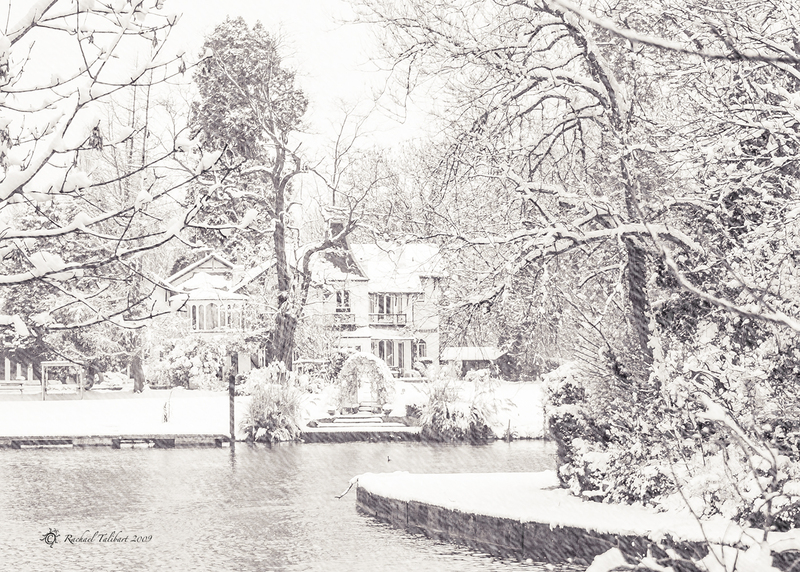 This entry was posted in photography and tagged 365 redux, 365/33, landscape photography, photography, Shepperton, snow, Surrey, Thames, weybridge, winter by Rachael. Bookmark the permalink. Ooo! That second one looks positively cold. Thanks, Shannon. From memory, I think it was! I really like the look of these shots. A “proper” exposure would have lost that soft, painterly feel that you were able to achieve. Great shots – the over exposed-ness (sorry, that’s really not a word) really makes the snow pop and feel as bright as it does when you’re in it. So many times I’ve take snow photos where the snow’s a little yellow or blue. I like it when people make up words 😉 Definitely dialling in some exposure compensation before you go out will help with that problem. At least +1, maybe even +2.